Holidays and special occasions occur all around the world each and every year. Every single day actually has some form of special symbolism associated with it, meaning that people have reasons to celebrate at any time of year. In the US, holidays can occur at a local state-wide level or a national level, with different festivities being enjoyed from state to state every single month. The month of June is one of the best times of the year in the US for people to get outdoors and breathe in the fresh air. The temperatures are rising all around the country and this is a very popular time for traveling and outdoor activities. There are also several key holidays and special events that take place in June for everyone to enjoy. 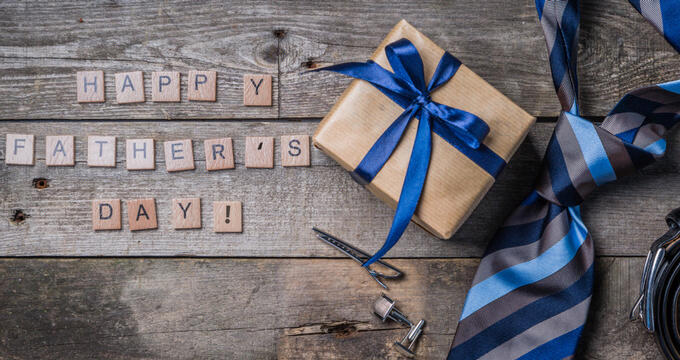 The paternal equivalent of Mother's Day, Father's Day is a holiday that goes back many centuries, having been celebrated in Europe back in the Middle Ages. Spanish and Portuguese settlers brought the idea to Latin America many years later, but the US didn't celebrate it until much later. It was in the early 20th century, after Mother's Day had been introduced and established, that the US decided to hold a Father's Day celebration. The very first Father's Day was actually held in just one town; it was a very small event in Grafton, West Virginia, triggered by a local mining accident that had left many people fatherless. The holiday remained small and relatively unknown for many years, with attempts to make it official being continually rejected, and Father's Day never really took off in the US until 1966, when President Lyndon B. Johnson chose the date as the third Sunday in June. Like with Mother's Day, Father's Day is an occasion for people to honor and celebrate their fathers. Cards and gifts are often given on this day, and families may also get together and enjoy meals or time in each other's company. All kinds of fatherhood are celebrated on this day, from biological dads to step-dads and other men who are seen as ‘father figures’ in the eyes of other people. Held on June 14 each and every year, Flag Day honors the date on which the flag of the United States was officially adopted. This occurred on June 14 of 1777, and the idea of Flag Day became official in 1916 thanks to the efforts of President Woodrow Wilson. Flag Day isn't a federal holiday but is observed all around the nation and some states have elevated this occasion to the status of state holiday. Parades and parties are held around the country on this special day, with the most famous celebration arguably being the Flag Day parade in Fairfield, Washington, which has been running for over a century. Flag Day is very popular in major cities like Washington D.C. but is enjoyed all around the US, with the president encouraging citizens to fly the Stars and Stripes outside their homes on the day itself and the rest of the week. In addition, special events and ceremonies may be held at certain historic locations around the US, especially those associated with the creation or adoption of the American flag itself. The summer solstice occurs twice each year on very different dates; in the Northern Hemisphere it occurs at some point between June 20 and June 22, whereas in the Southern Hemisphere it happens between December 20 and December 23. Due to the location of the US, the June 20-22 dates are the ones that matter to American citizens. This is the day when, due to the tilt of the Earth, the sun reaches its highest point in the sky, leading to the longest amount of daylight in the year. Also known as Midsummer, the Summer Solstice represents the beginning of summer and the arrival of sunny days and warm weather. Various cultures and religions have celebrated this day in different ways over the years, and some of their traditions have been passed down through generations and are still enjoyed in the US today, like the lighting of solstice fires, gatherings in natural places, and other festivals and ceremonies. Some locations also have parades or parties on this day for citizens to enjoy, but many people will simply take the opportunity of such a long day to get outdoors with friends or family, spending time in comfortable locations like beaches or parks.